I studied Philosophy, Psychology and Informatics (M.A.). Since early age I am interested in the “big questions”. 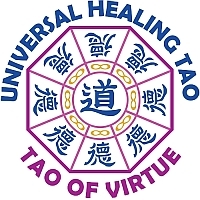 I chose the path of the Universal Healing Tao of Mantak Chia, because things I experienced as a young adult during my own meditation I found literally in the books of Mantak Chia. I was educated by Senior Instructor Dipl.-Psych. Harald Röder at the Qi Gong Tao Institute in Nuremberg, Germany. Other important teachers of the UHT on my way were Grandmaster Mantak Chia himself, the Senior Instructors Wolfgang Heuhsen, Thomas Hicklin, Jutta Kellenberger, Josefine Reimig and Certified Instructor Martina Paregger. A very meaningful experience was a two week darkroom retreat with Mantak Chia at the Tao Garden, Thailand. Looking forward to practicing with you!